MNA – Iran’s FM Zarif has left for Tajik capital of Dushanbe on Monday to take part in the 23rd Meeting of the ECO Council of Foreign Ministers (COM) on April 17. 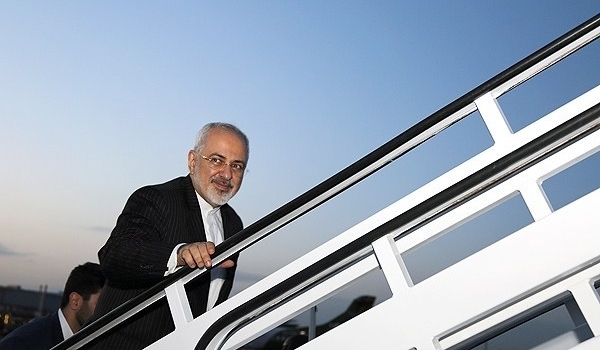 Accompanied by a political entourage, Zarif is due to attend the 23rd ECO Ministerial Meeting who will host ministers and deputy foreign ministers of countries, members of the Organization. The participants of the meeting will discuss the status of the implementation of the ECO projects and programs, the relationship of the ECO Secretariat with international organizations, the activities of the specialized agencies and affiliated bodies of ECO. They will also discuss progress and assessment of the implementation of the goals and objectives defined in the “2025 ECO Prospects”, the adoption of the New ECO Program on Assistance to Afghanistan, as well as the administrative and financial issues of the Organization. The meeting of the ECO Foreign Ministers Council is preceded by a meeting of the Senior Officials of the member countries of the Organization, which will be held on April 16. Within the framework of the 23rd meeting of the ECO Foreign Ministers Council, an exhibition of folk handicrafts of the ECO countries will be held on April 16-17 in the “Bogi Iram” park.